The famous director Sarmad Khoosat has decided to take a step forward in his career and move on to directing films. Sarmad has directed many successful award winning serials and received great admiration for his serials not only in Pakistan but India also. The director is popular for his acclaimed drama “Humsafar” starring Fawad Khan and Mahira Khan. Now the director is all set to direct a film. 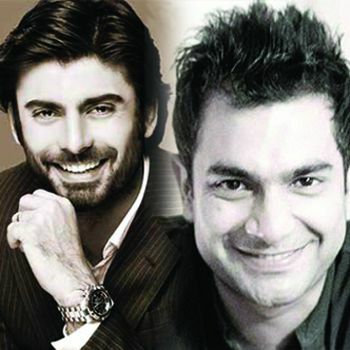 Sarmad has offered his first ever leading character movie role to actor Fawad Khan, for his debuting movie. Initially when Sarmad was interviewed regarding the cast for his upcoming film, the director holds some reservations. Fawad first Bollywood debut “Khoobsurat” has received raving reviews and immense appreciation and is ranked high, on local and Bollywood film makers casting list. Recently, Sarmad Khoosat was also quoted to say, “Our actor-director relationship was extremely nice till Humsafar but after that I had reservations about a few things with him.” It seems that his mind has been changed for the better.